Straight teeth are an investment in time, energy, responsibility, and, of course, money. But paying for orthodontics for your teeth is well worth it. Aligning your smile comes with more benefits than just straight teeth. You will have teeth that are easier to clean, reducing the chances of developing cavities or other oral health problems, and digestive health will improve because you are able to chew your food better. Plus, straight teeth are a massive contributor to healthy self-esteem. We have many payment options, which you are welcome to discuss with us at the time of your initial consultation or when contacting Corne Smith Dentistry. Is Invisalign Cost Worth it? 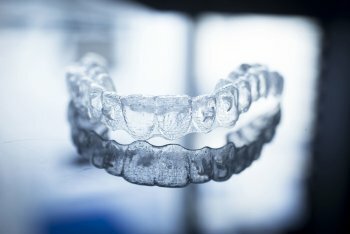 Invisalign is absolutely worth the price it costs to align your teeth. A smile that is in alignment is not only better functioning than a crooked smile, it is fun to show off. And teeth that are straight are healthier and less likely to break down. While the cost of orthodontic treatment may seem daunting at first, this is an investment that will pay you back tenfold, protecting you from the need for other types of cosmetic or restorative dentistry in the future. At Corne Smith Dentistry, our support staff is supremely knowledgeable about all forms of payment for orthodontic, cosmetic dentistry, and restorative dentistry options. Make your appointment with Dr. Corne Smith to find out what your Invisalign treatment will involve, both cost-wise and treatment-wise.